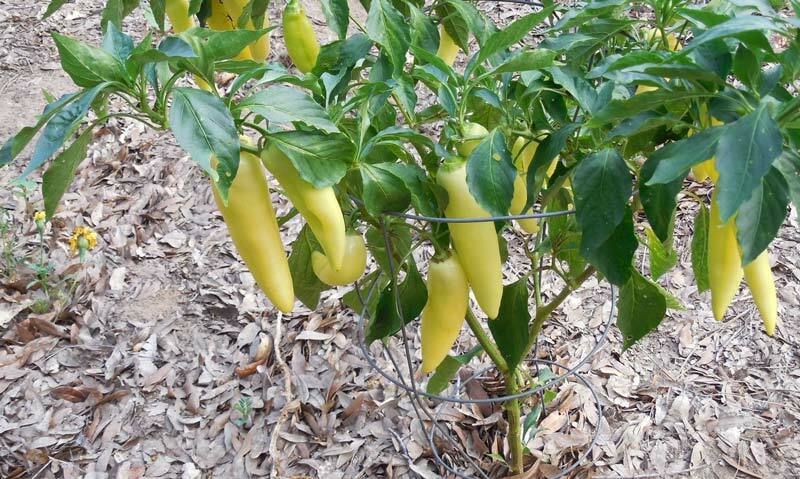 Peppers grow well in raised beds, containers, and in-ground gardens. The brilliant hues and full-bodied flavors of peppers have assured them a central role in many of the world’s cuisines. 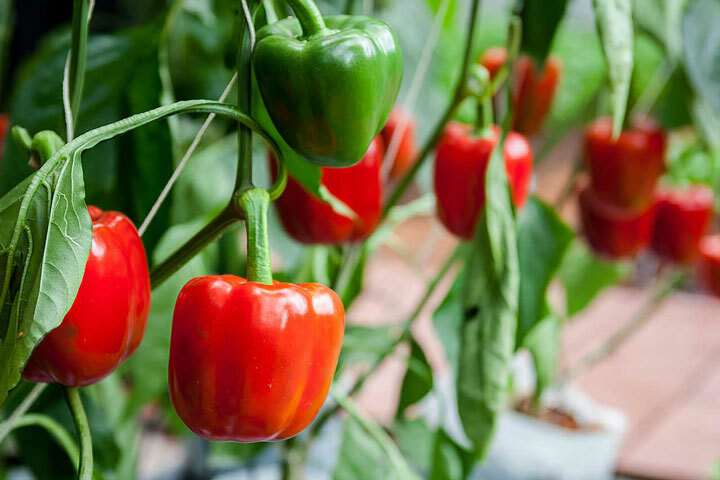 The glistening greens of the leaves and the rainbow of colors of the ripening peppers – red, yellow, orange, green, brown or purple – make pepper plants an ornamental, as well as delicious, addition to the garden. Sweet bell peppers go well with just about anything and are wonderful eaten right out of the garden, while the hotter varieties spice up many recipes. Stuffed peppers, pickled peppers, fried peppers – peppers fit in, deliciously, everywhere. 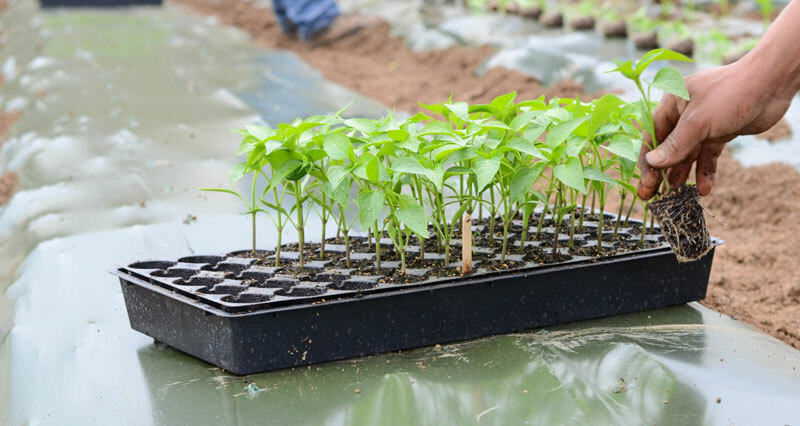 Peppers like warmth, so wait to plant until the soil and air temperature has warmed up reliably. Provide deep watering weekly for pepper plants. 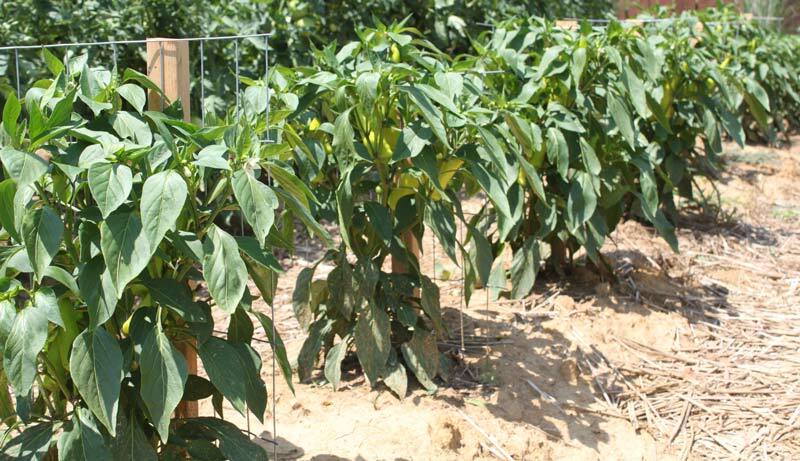 Support bushy, heavy- yielding plants with 2-foot-high cages, or stake them. 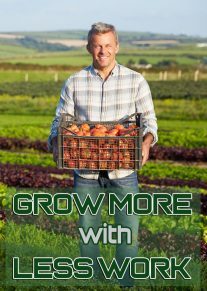 Apply heavy organic mulches when summer heat begins to peak. Temperatures over 90 degrees F can cause buds and blossoms to drop; the condition is more serious if humidity is low also. 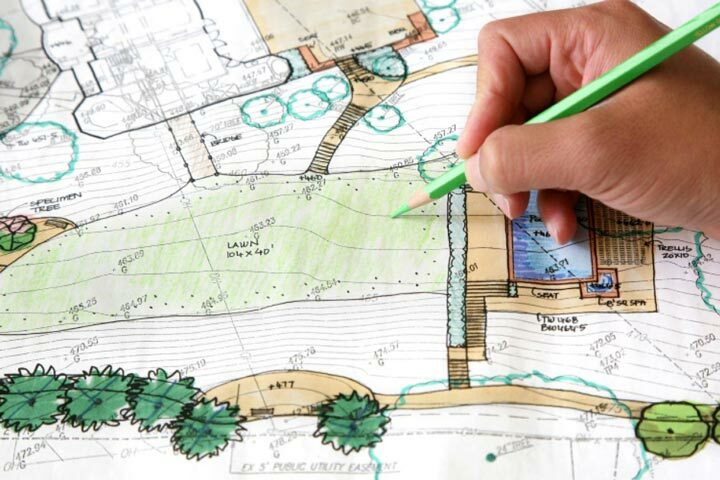 Pests are not a serious concern. However, contact your local County Extension office for controls of common pepper pests such as corn borers, flea beetles, and leaf miners. Peppers can be attacked by aphids, pepper maggots, pepper weevils, tomato hornworms, Colorado potato beetles, leaf miners, flea beetles, and corn borers. Control these pest insects with insecticides like Bt for the caterpillars and pyrethrum for the others. 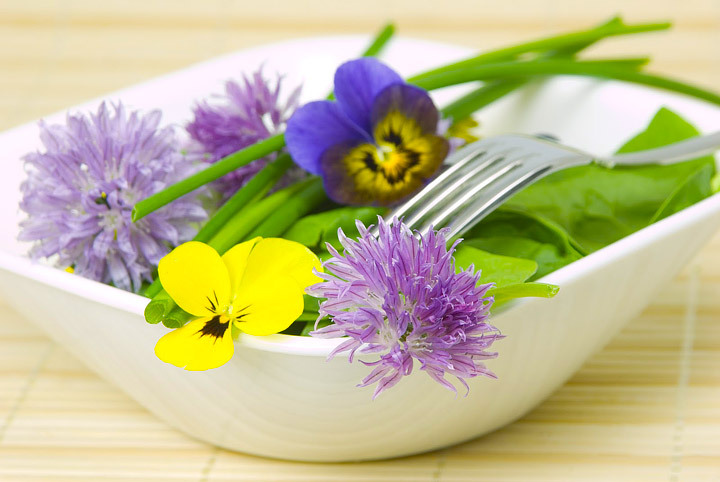 Hot pepper spray will also repel these pests: combine a handful of hot peppers, several cloves of garlic, a tablespoon of non-detergent soap, and three cups of luke-warm water to make the spray. Most peppers, except for a few varieties like Sweet Banana, are green when young. Though bell peppers come in many colors, such as red, yellow, and purple, you can eat any of them in the green stage. However, they are sweeter if you let them ripen until the color is fully developed. Harvest by cutting through the stem of each fruit with a knife or with pruners. You can have an almost-continuous harvest from your pepper plants by cutting often, as this encourages the plant to keep blossoming, especially in the beginning of the summer. 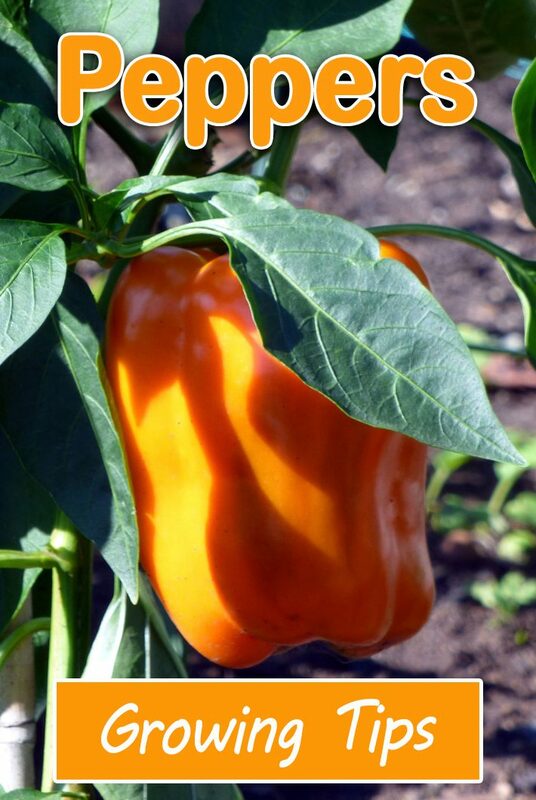 leave some peppers on each plant to ripen and harvest; pick others throughout the season when they reach table-size. Use a sharp knife or garden scissors to harvest and leave about ½-inch of stem on each peppers. Don’t store peppers in plastic bags or wrap or in the vegetable crisper of the refrigerator. Try your best to use them the day you harvest them.